It’s that time of year again! The PIMP’s (Passion Inc Mince Pie) are back. The ultimate competition in mince pie world – the PIMP challenge pits together both big brands, bakery made and homemade pies in a glorious homage to the Mince Pie. As the twelve days of Christmas plays merrily throughout our stores and we start to consider stocking fillers, it also signals the start of a culinary feast, and in particular, the time to munch our way through mountains of delicious little morsels. According to an ancient custom from the Middle Ages, if you eat a mince pie every day from Christmas Day to Twelfth Night, you’ll have happiness for the next 12 months. Today we’re most likely to pick up mince pies from our local supermarket. 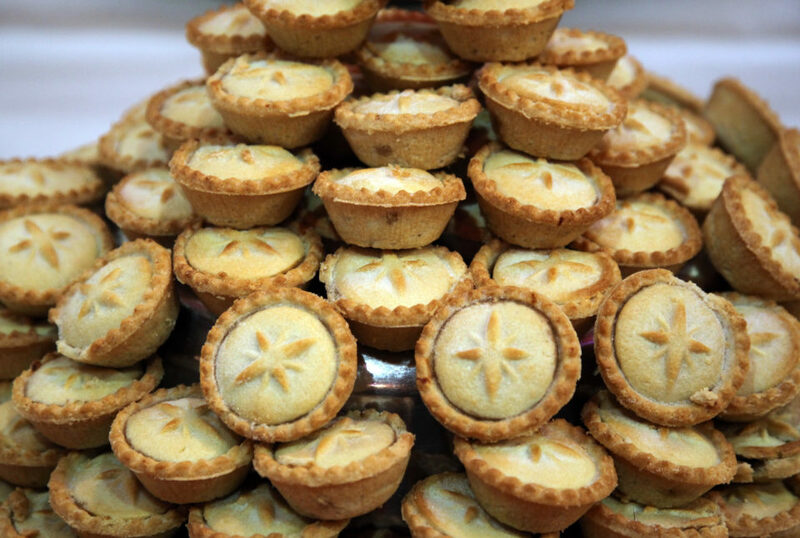 In fact, the UK spends over £50 million buying mince pies over the Christmas period. But the ultimate question is, who makes the best mince pie? Last year Good Housekeeping judged that Iceland’s own-brand mince pies were favoured over 24 other brands, including those from Harrods and Selfridges. In second place were convenience chain Spar’s pies, costing £2 for 6. The judges hailed Iceland’s pies as: “Juicy mincemeat with a rich flavour in a lovely crisp and buttery pastry case”. So in the name of research, the Passion Inc team is preparing to chomp its way through copious packs of mince pies from supermarkets, bakeries and our neighbours in order to find the PIMP champion 2017. The reining PIMP champion is Mrs Wendy Jackson, a local resident of Swithland Court, who’s buttery pastry and oozing filling was judged the 2016 winner, piping Johnson’s the Butchers into second place. So far Mr Kipling is making exceedingly better mince pies than Spar. Stay tuned for next week’s pie-off….